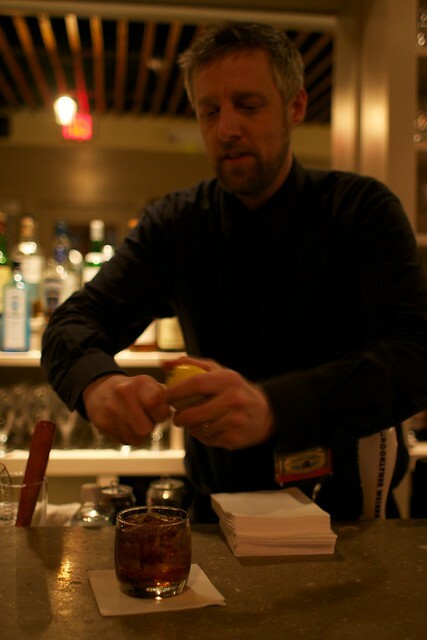 I consider Jeff Faile, bar manager at Palena, a friend. This Modern Luxury article on the expanded restaurant is great on the food, but does some injustice to one of Jeff’s brilliant cocktails (vodka?!). And since he has shared the recipe with me, I can now both correct the record and share it with you. 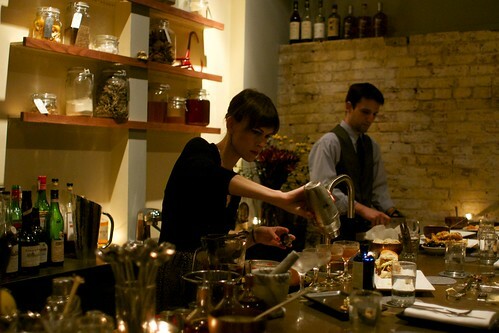 We Love Drinks embarks on a series where we attempt to make our favorite cocktails and essential drinks ingredients from around town. If there’s something you’d like us to feature, please let us know! 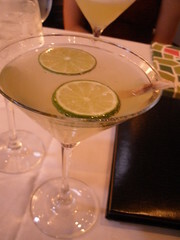 The proper garnish is a critical part of some cocktails. 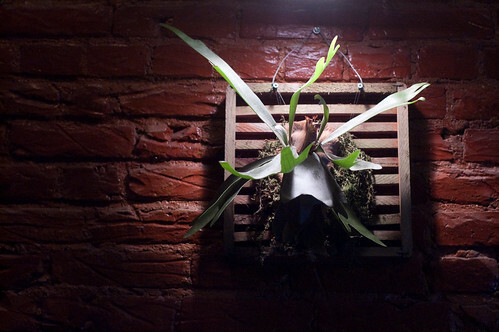 DC has no shortage of bars where you can get a craft cocktail, and if you watch the bartenders at work at one of these establishments (and I have) you can see (and taste) how the garnish really can finish a drink, either emphasizing or complementing certain flavors in the liquid ingredients. My first craft cocktail experience in the area came at PX, where the craft most definitely extends to the garnish. One of the cocktails I had on my first visit was listed on the menu as not just a Manhattan, but “My Wife’s Manhattan.” How could I pass that up? 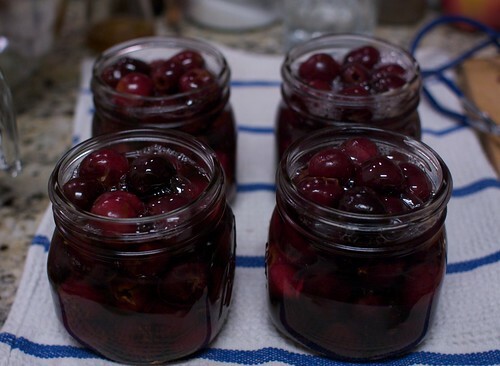 So I was very pleased when the Washington Post ran the recipe for Todd Thrasher’s preserved cherries. I made my first batch of them as soon as I could round up a cherry pitter and some cherries, based on the vagaries of supply and demand at Giant. And they were good, but they were salty. I had done something wrong. In the calm before the storm (what? there’s another blizzard coming? ), we were able to take a breather and have a little fun out of the house on a day when the brown/green grass was just starting to show itself again. Good times were had last night at Wisdom Cocktail Parlour in SE DC. Guests who arrived with an ingrained hatred for the taste of gin were quick and surprising converts to the smooth and simple pairing of fresh squeezed grapefruit juice. 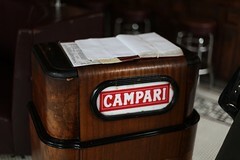 Looking to take your understanding of drinks to the next level? 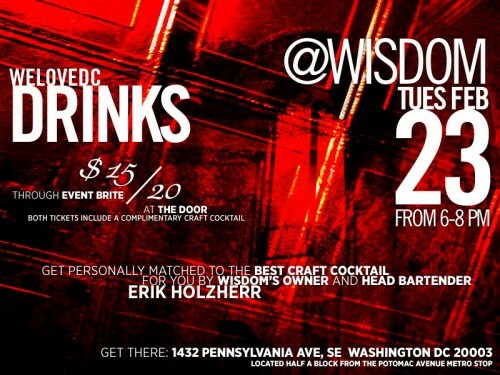 Experience the handcrafted cocktail revolution firsthand at Wisdom Cocktail Parlour on February 23 from 6-8 p.m. with the WeLoveDC Crew. 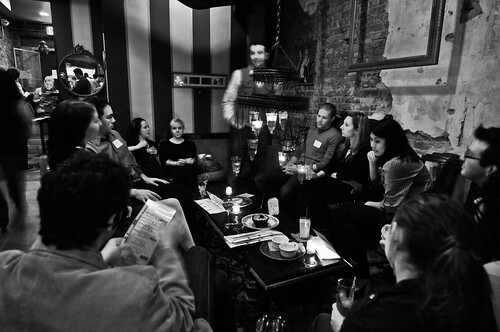 Wisdom’s Erik Holzherr will be dishing on the art of the cocktail, suggesting what you might enjoy in one, and offering up some amazing libations poured especially for you. Tickets, which include your first craft cocktail, are $15 ahead of time or $20 at the door (space permitting). Food and happy hour specials will also be available.